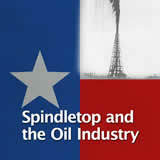 Expansion of the Texas frontier, cattle and ranches, railroads, urban growth, the Galveston Hurricane, Spindletop. 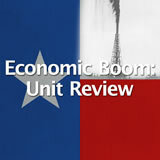 Economic Boom unit contains 10 learning experiences. Students learn about the role of Buffalo Soldiers and how they protected the settlers from the American Indians. They learn about a Comanche leader, Quanah Parker, and how he led the Comanches into battles. 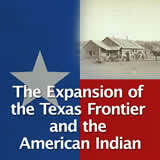 Finally, they learn about the western expansion through Texas and how it affected the settlers and many American Indian tribes, and they suggest a plan for handling the issues that arose. Students learn about the process of raising and selling cattle. 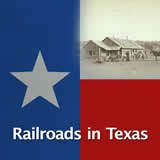 First they read about the Longhorn and its presence in Texas. 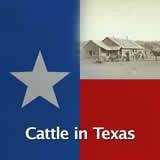 Then, they learn about the history of cattle ranching, starting with the Spanish. Finally, they learn about cattle drives and create a timeline to note important dates. 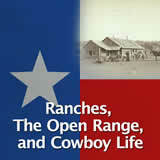 Students learn about the open range and how it helped ranching become a profitable business. Then they learn about ranching and facts and myths about cowboys. They also explore factors that led to the end of the open range. 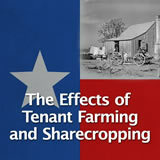 Students learn about tenant farming and sharecropping. They identify similarities and differences between the two. They examine problems that arose due to sharecropping, and then they write a paragraph explaining why they would choose to be a tenant farmer or a sharecropper. Students learn about how farming changed from small farms to large commercial farms. 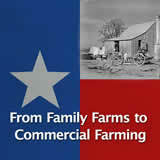 They describe advancements in farming tools, and examine how commercial farming impacted Texas politically, socially, and economically. 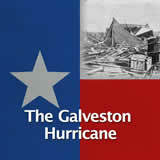 Students learn about the devastating Galveston Hurricane of 1900. 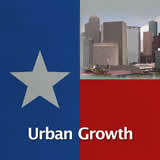 They identify the effects that the storm had on the city and its economy, and why the storm was so devastating. They read some letters written from survivors of the storm and then write a letter of their own, including information about the storm. 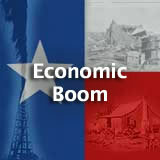 including the Economic Boom Unit.